Hey, all! 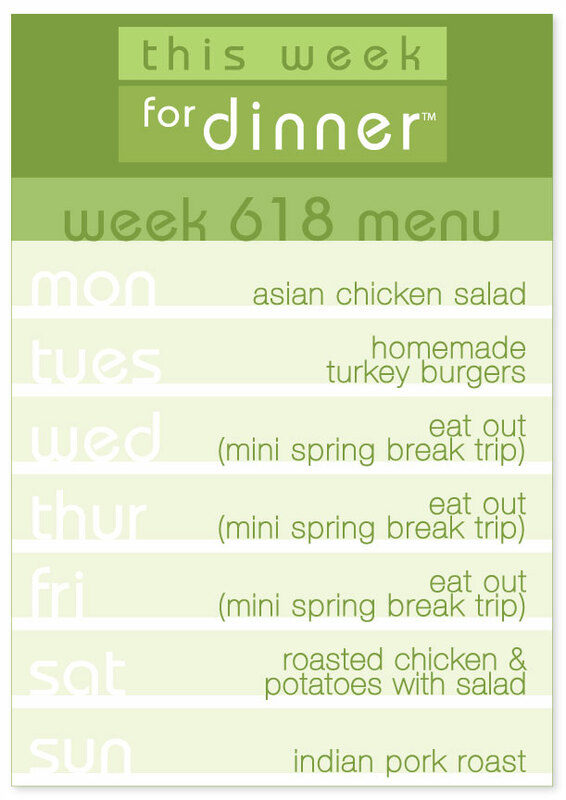 It’s Spring Break for us and I apparently have entered vacation mode because I haven’t done the weekly menu yet! This menu may go straight in the garbage depending on how our staycation goes, but may as well throw something together! you guys rock! thank you for posting! !